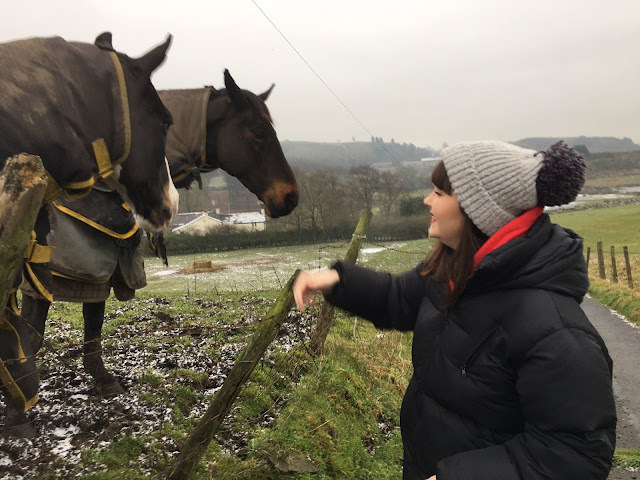 It's been a while since I sat down and wrote a post about my disease because honestly, I was sick of talking about it! My last post was back in November, which feels like a life time ago. I addressed the mental struggles the disease brings and the feedback I got from that post was AMAZING! It made me realise that I am not alone and I hope it resonated with others making them feel the same. In November 2017 I was under the impression that the IV infusions of Infliximab were reducing inflammation and therefore, putting me in remission. I'd had a colonoscopy done at the end of September and the results were great, my colon wasn't on fire! 'Lucy, they've told you things have got better, you are getting better, try to get back to normal now'. Even though hearing good news brought hope, I knew that my body wasn't well and my symptoms were still there. Mentally I was battling with myself. I thought I was stupid because I should've been feeling better, instead I was feeling worse. Days went by, I was put on various enemas and nothing seemed right. On November 22nd I went for a check up appointment which was when I realised I wasn't so stupid. I had been putting up with my symptoms as I thought Infliximab was making me better, but it wasn't. Before my last infusion I'd had a blood test to measure my trough levels which are the levels that tell you how much of the drug is in your body. My readings came back and my body had 0.4 of the drug in it when levels should be between 3 and 7, so pretty much no drug. I'd developed anti-bodies which attack the drug, they fight it off before it can do its job. Unfortunately it can happen whilst on biologics, but for most people they get a few months or years of successful remission before anti-bodies develop. I was just the unlucky one! Part of me was relieved because I wasn't being stupid, my disease was genuinely getting worse rather than better, but then the other part of me was absolutely devastated. This drug had been my potential life-saver since August and to realise it isn't working was a huge knock back for me. I'm going to be very honest and say from this point till the new year, I really did give up. Hearing such rubbish news made me angry, upset, worried, all the emotions and I didn't know how to motivate myself to pull myself back from this fall. I have bundles of journal entries from November to January where I admit defeat. I'm not proud of feeling like that but I did and I couldn't help it. Medically, I was introduced to the next stage of treatment options as with Ulcerative Colitis it's a case of exhausting all options until you either find one that works or require surgery. My options were Humira, Golimumab or to participate in a drugs trial. Now these may sound like foreign words to you but I'll try to explain. 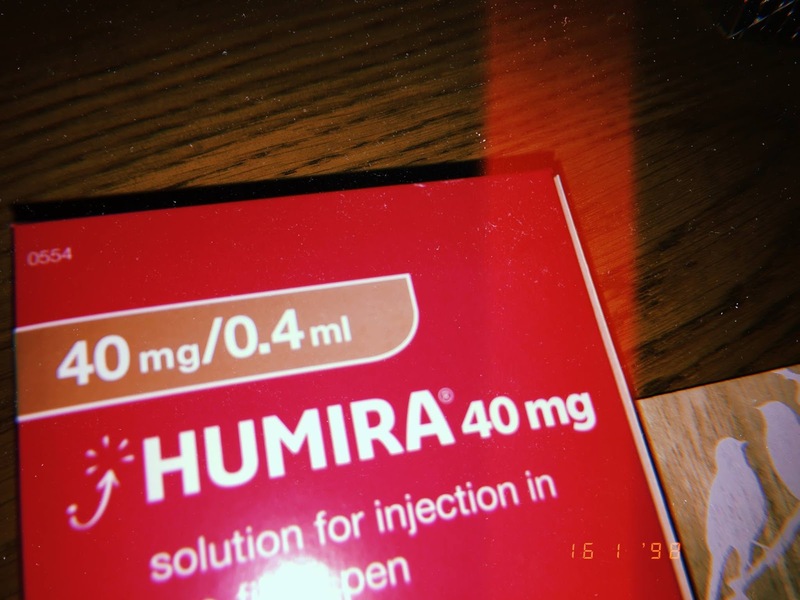 Humira (medically known as adalimumab) is a self administrated drug which comes in injection pens to be taken every two weeks. Golimumab is the same process, however its less widely used and only taken every 4 weeks. They're both biologic drugs which target the protein TNF-Alpha to reduce the amount in your body as this causes inflammation. They work the same way as Infliximab, however may have a better success rate for different individuals. Whilst discussions were going on, I was put on Budesonide steroid enemas (yep, steroids again!) in order to keep me going for the next few weeks. The 4 week course did keep me going and acted as a slight quick fix. Although I wasn't feeling 100% I had a bit more control than before but with steroids, it never lasts long. By December we'd decided that Humira was the next step for me. I was due to start Humira before Christmas as my supply of steroid enemas finished on 22nd December so I was in need of treatment. The plan was to limit the time between finishing steroids and starting Humira as if left too long, my colon would start raging again. Unfortunately, this ended up happening. Taking Humira involves quite a lot of people, theres the suppliers, the deliverers and doctors. Due to it being Christmas the quickest I could start Humira was 2nd January, which meant 10 days without any treatment. I wasn't too worried as I thought 'I'll just relax, take things slow and it will be here in no time'. However, the week between Christmas and New Year was probably the worst week of 2017 in regards to my disease. My colon had no drugs treating it, I was eating so much heavy food (it's Christmas, I had to!) and my body just went to pieces. I was bed bound most days after Christmas, wasn't eating, running to the loo over 15 times a day and feeling so SO weak. Over Christmas I nearly lost a stone all from 5 days of a huge flare, it was the worst I'd felt all year. So you're probably asking 'Why didn't you go to A&E? Why didn't you get to hospital?' honestly, I probably should've but in my head I knew that there was new treatment on the horizon. If I could make it through until I received my Humira then things might start getting better. I managed to get a 2 week course of the steroid enemas again and they made the wait until 2nd January a lot easier. Time for the slightly brighter, positive stuff!!! On 2nd January a nurse came to my house to teach me how to self-inject and give me my loading dose. of Humira. Honestly I was terrified of self injecting even though I'm fine with needles but after one go, I realised how easy and painless it is. If anyone hates needles and is anxious to self-inject, I urge you to do it as its so much easier than going in for injections! So that was 5 weeks ago and now life is a waiting game. My experience with Humira up to this point has been fairly positive with a few blips. For the first 3/4 weeks my health improved a lot, I was only going to the toilet about 3 times in a morning which for me was amazing! It made it easier to go out and get things done as I wasn't as stressed about needing a toilet there at all times. My energy levels still weren't high but I was living off the buzz because I felt like I was feeling normal again. There were a few blips during those weeks, but overall everything felt like it was on the up. For around the past week/10 days things haven't felt as wonderful. Towards the end of my last two week dosage period, my toilet trips became a lot more frequent, painful and bloody. I told myself not to worry as my injection was due in a few days so things would settle down. I last injected on Tuesday 30th January and things did improve but not quite as much as before. For around the first 4 hours of the day I am on the toilet frequently, loosing blood and being in 'discomfort'(pain) for a while afterwards. If I get up and want to go anywhere, I am automatically anxious as I'm still not in control of my bowel movements and when I'm anxious, it triggers the urge to go. My mental health fluctuates from day to day as I know I won't be stable till I'm physically stable. I'm trying to keep a very healthy diet and regular exercise as I know this will do nothing but good for my disease. The side effects I've encountered are feeling sick, feeling like you have a cold, dizziness when I stand, headaches and the last week have noticed that my hair is coming out a lot more than it used to. It isn't falling out in large clumps, I've just noticed a lot more of hair about than normal when I'm showering or brushing it. When I think about all the side effects it is quite scary, I am thankful for these amazing drugs that could help me reach remission but at the same time all drugs react different in each individual and its hard to pin point how its exactly effecting you. I feel as if things will improve with this drug but I'm impatient and want it to work now. At this moment my life feels like its depending on how I feel tomorrow as from one day to the next, I don't know how I will be. Things are still scary but I have to tell myself things are still very fresh. It's nearly been a year since my battle with Colitis began and in the grand scheme of things, its such a short time. The future isn't in my control right now so I'm learning to stop worrying over it, by prioritising everything within my control life feels slightly more 'normal'. I am hopeful that 2018 will be the year I get some normality back and finally reach remission! Hi. 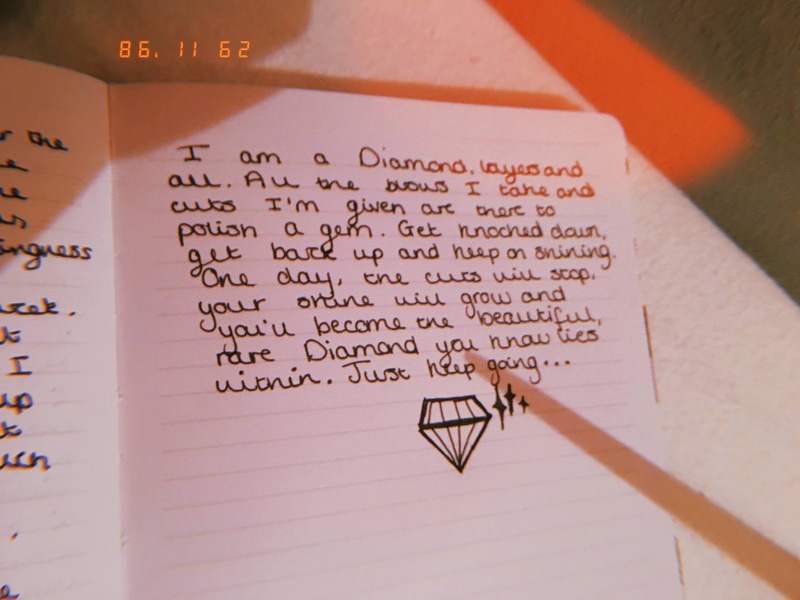 I've been following your blog for a few years now and your battle with colitis since last year, you are honestly a really strong person to go through what you are going through. I really hope 2018 is the year that you can get into remission and your Colitis calms down and you can start to feel a lot better!! I watch this youtuber called Hannah Witton she has colitis her videos are so informative about them you may enjoy her (or you may have already heard of her). This wasn't a blog post I ever thought I'd read but I'm glad I did because it's something that I wouldn't normally be exposed to. I hope your condition gets a little more bearable for you and thank you for sharing! Thank you, means a lot to me raising awareness and making people slightly more knowledgable about these diseases as they effect so many and are on the rise!